Life and Death of A Flower, is a painting I created using opaque watercolors. It was a homework assignment for one of my art classes. Africa is a poster created with opaque watercolors during art classes at Emmanuel College. Art is a passion of mine. Art classes and school have been key to fueling that passion. Not just now but for as long as I can remember. 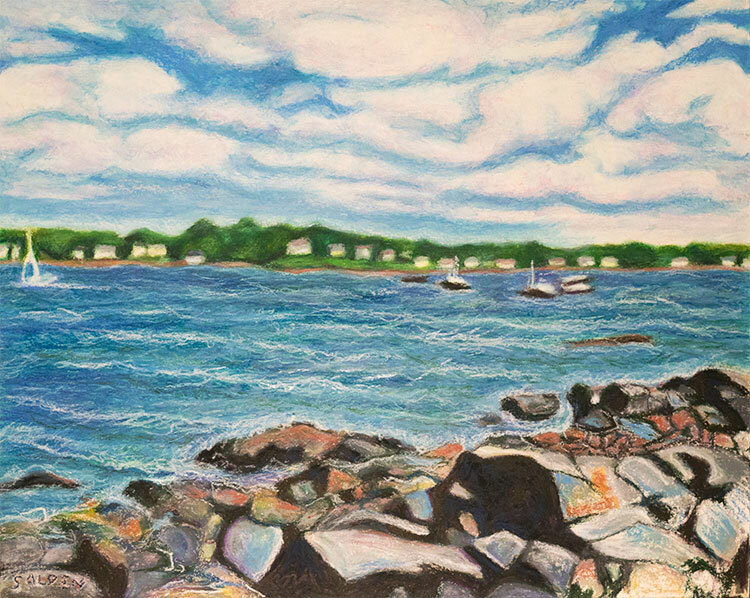 When I was a little girl, on Saturday mornings my mom would take me to art classes held at The Sisters of Notre Dame de Namur, Jeffrey’s Neck Rd., in Ipswich, MA. Art classes were taught by Sister Vincent DePaul. Looking back on my time there I see the sun pouring into a spacious room filled with long tables. Here there were bustling children busy with their colorful projects. For the most part I made handmade ceramics. The tactile experience of working and shaping clay was very satisfying. The finished pottery was air dried. Next it was fired in a large kiln. There was much anticipation at what the final piece would look like after it had been fired. It is only then that one can see the true color of the glazes. It was always a surprise and a delight. Back in grammar school I used to draw on the half sheets of paper that were handed out in math class. I would sell those drawings outside at recess for a few pennies, or give them away to friends. Art classes were always my favorite. When I was in other classes I doodled in my notebook while listening to the lectures. Art classes in high school were great, everyone got a chance to try new things. However, at the time we only had small school desks. I think big long tables are much better to work on. Throughout that time I would also work at home on various drawings and paintings. I enjoyed experimenting with many types of media including painting with acrylics and watercolors, and drawing with pencils, and pen and ink. The flower painting on this page is opaque watercolor on paper. I got permission from the local greenhouse to sit and create artwork, and this is what I came up with. When I attended Emmanuel College, I majored in Studio Art. While attending Emmanuel I studied design and composition, illustration, sculpture, drawing, and oil painting. I enjoyed my time there, particularly the classes I took with Sister Vincent DePaul, (the head of the art department at Emmanuel). Above is another piece I created during this period. 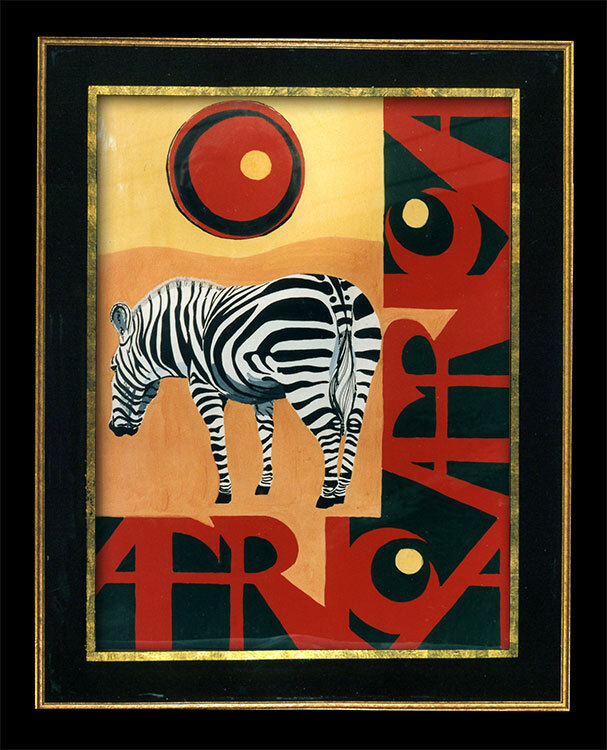 Titled “Africa” it was for an assignment to create a poster for a foreign country. As often happens, I chose Africa so that I could feature an animal as the subject of my painting. As many people know, animals are one of my favorite subjects to feature in artwork. This piece was created using opaque watercolors on illustration board, and is in a private collection. After Emmanuel, I took a number of different classes at other schools. Visit my bio page to learn more. Visit these pages to view current examples of my artwork oil paintings, oil pastels, watercolors, and drawings. 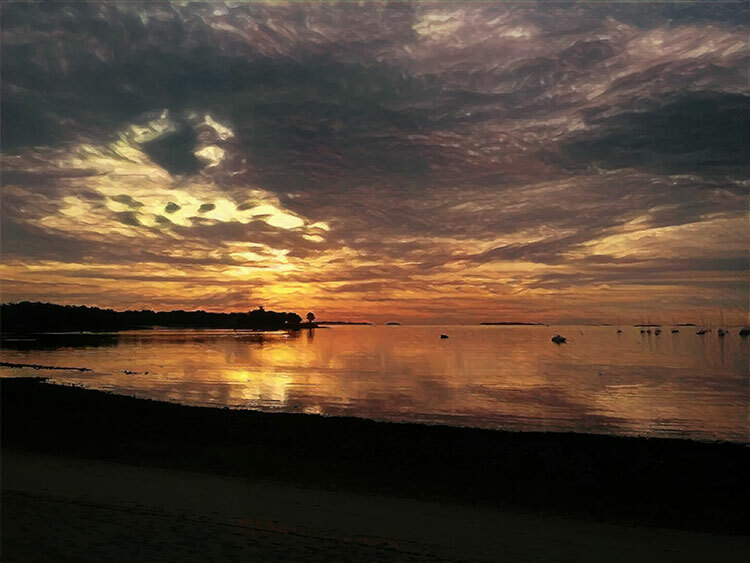 Beverly Massachusetts, artist Sheila Alden has been painting and drawing since early childhood. Sheila is a life-long artist uniquely blessed with passion and talent. The artwork she creates is bold and joyful. She has a deep love and admiration for the natural world. 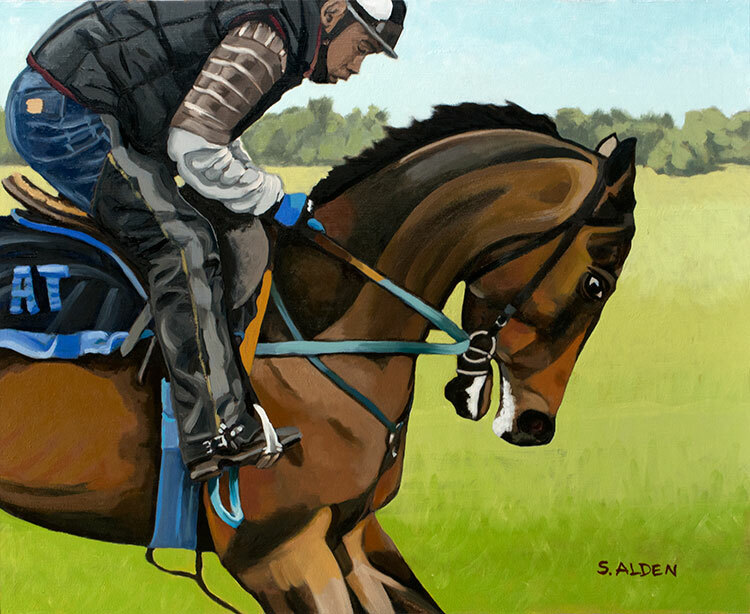 And as a result her artwork focuses on animals, flowers and nature, as well as a variety of other subjects. A variety of mediums are represented in her work. Which includes oil paintings, watercolors, oil pastel paintings, pen and ink and pencil drawings.